Klook is the largest APAC in-destination services platform serving the Free Independent Travel (FIT) market. They offer to discover activities, attractions and things to do wherever travel needs. They have a 1,000+ team member and they are well-versed with over 20+ international languages. Any travel agency can access their market in Mainland China, Hong Kong, Taiwan, Korea, Southeast Asia and beyond with Klook. Klook also has branches in different locations such as Australia, China, Hong Kong, India, Indonesia, Japan, Korea, Malaysia, Netherlands, Philippines, Singapore, Taiwan, Thailand, United Kingdom, United States and Vietnam. By offering myriad of activities to choose from, the main goal of Klook is to connect travelers with the experiences they want. Through the Klook XML In, you will have the capacity to disperse all your product contributions to your clients progressively. Klook XML In depends on the International Open Travel Alliance (OTA) arranged with the goal that your client's reconciliations are standard and should be possible all the more effortlessly to begin accepting automatic bookings. Technoheaven provides hospitality professionals at Hotels, Management Companies, Hotel Chains and Travel Websites with technology solutions that improve the way they present their properties online to travel Suppliers. Our team of Technoheaven offers dedicated support with maintenance and with regular updates. Our expert team of Technoheaven will contact you in next 24 hours and happy to help you. 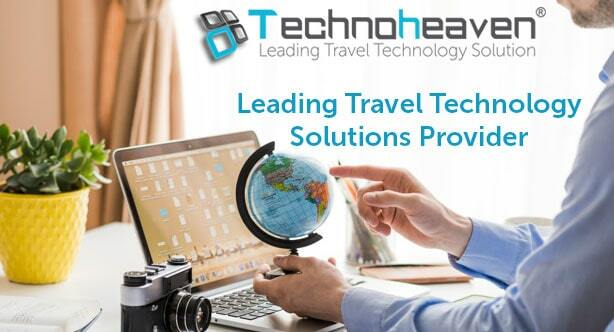 Techno Heaven Consultancy is a leading travel technology partner who delivers innovative technology solutions for travel industry. Our comprehensive software products empowering worldwide travel businesses to automate business process and enhance their customer service.